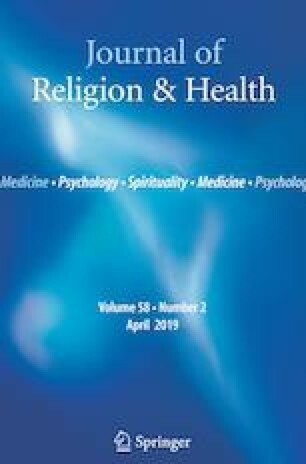 We examined multiple dimensions of religiosity and their relationship to the four DSM-5 PTSD symptom clusters among US Veterans and Active Duty Military (ADM), hypothesizing that religiosity would be most strongly inversely related to negative cognitions/emotions (Criterion D symptoms) and less strongly to neurobiologically based symptom clusters (B, C, and E). This cross-sectional multisite study involved 591 Veterans and ADM from across the southern USA. Inclusion criteria were having served in a combat theater and the presence of PTSD symptoms. Measures of religious beliefs/practices, social involvement, and PTSD symptoms were administered, and bivariate and multivariate analyses were conducted in the overall sample, and in exploratory analyses, in the sample stratified by race (White, Black, and Hispanic). In the overall sample, multivariate analyses revealed that the only PTSD symptom cluster inversely related to religiosity was Criterion D, and only to organizational (b = − 0.08, P = 0.028) and cognitive/intrinsic religiosity (b = − 0.06, P = 0.049), relationships that were fully explained by social factors. Religious struggles, in contrast, were positively related to all four symptom clusters. Inverse relationships with Criterion D symptoms were particularly strong in Blacks, in whom inverse relationships were also present with Criterion E symptoms. In contrast, only positive relationships with PTSD symptom clusters were found in Hispanics, and no relationships (except for religious struggles) were present in Whites. As hypothesized, the inverse relationship between religious involvement and PTSD symptoms in Veterans and ADM was strongest (though modest) for Criterion D negative cognitions/emotions, especially in Blacks. Disclaimer: The views expressed are solely those of the authors and do not reflect the official policy or position of the US Department of Veterans Affairs, US Army, US Navy, US Air Force, the US Department of Defense, or the US Government. A special thanks to Kerry Haynes, D.Min., BCC, at the South Texas Veterans Healthcare System, 4318 Woodcock Dr #120, San Antonio, TX 78229, who collected the data from that site. This material is the result of work supported with resources and the use of facilities at the VA Greater Los Angeles Healthcare System (Los Angeles, CA), Charlie Norwood VA Medical Center (Augusta, GA), South Texas Veterans Healthcare System (San Antonio, TX), Michael E. DeBakey VA Medical Center (Houston, TX), and Durham Veterans Affairs Health Care System (Durham, NC). This work was funded by a grant received from the Augusta Biomedical Research Institute (Nagy Youssef), Augusta, GA, and by departmental funds from the Department of Counselor Education and Family Studies, School of Behavioral Sciences, Liberty University, Lynchburg, Virginia, and from the Center for Aging & Development, Duke University Medical Center, Durham, NC. The authors of this article had no conflicts of interest. The research conducted here was approved by the Institutional Review Boards (IRBs) and Research & Development Committees of the above VA Health Systems, Duke University Medical Center, and Liberty University. Pew Research Center. (2014). Racial and ethnic composition. U.S. Religious Landscape Study. Pew Research Center: Religion & Public Life. Retrieved February 18, 2019, from http://www.pewforum.org/religious-landscape-study/racial-and-ethnic-composition/.